Combination birth control pills – contain both estrogen and progesterone hormones and prevent your ovaries from releasing an egg/ovulation. They also cause changes in the cervical mucus and the lining of the uterus to keep sperm from joining the egg. Although the type of estrogen is the same in most pills, the doses may differ. There are a number of different progestins and those doses may also differ. Continuous-dosing or extended-cycle pills allow you to reduce the number of periods you have each year. Continuous dosing – Active hormone is taken beyond the typical 21 days. Most women take a placebo (sugar pill) for 7 days every 3 months to as long as a year, and is followed by bleeding. Bleeding generally occurs during the seven days you take the inactive pills. This option is used in women who prefer to have fewer periods but can also be used to treat medical issues such as excessive bleeding related to uterine fibroids, prevention of menstrual migraines, relief from pain related to endometriosis. Fertility can return to normal almost immediately after stopping the pills. Pregnancy – An estimated 9 out of 100 women taking combination birth control pills will get pregnant in the first year of use. With perfect use, the pregnancy rate is less than 1 in 100 women every year. The pill will not protect you from sexually transmitted infections. Some side effects — including nausea, headaches, breast tenderness and breakthrough bleeding — might decrease with continued use. 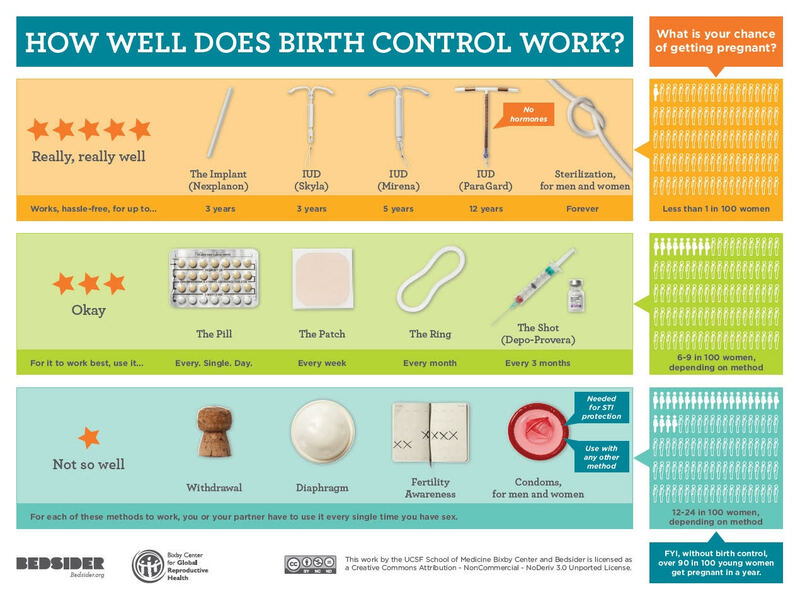 Please see Dr. Fleming for consultation to determine what contraception will be best for you based on your concerns and preferences, as well as your medical history. She will check your blood pressure, your weight and review your medical history and medications you’re taking and together will choose a method that is best for you.